By Janelle De Souza – as published in the Trinidad and Tobago Newsday (Woman’s Weekly – Mentality) – Sunday 29th June, 2014. With a background in both literature and printing, the next logical step for Aliyyah Eniath was publishing. The result? 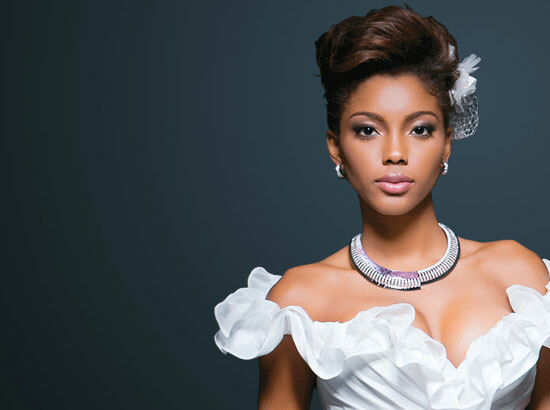 Caribbean BELLE and its offshoot, Caribbean Belle WEDDINGS, two of the most successful regional magazines to come out of Trinidad and Tobago. The magazines, as well as the woman in charge of them, speak volumes for quality and style as seen by the recognition of the Caribbean Advertising Federation (CAF). 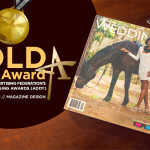 Caribbean Belle WEDDINGS won Gold for Best Overall Magazine Design at the CAF ADDY Awards 2014, while, Caribbean BELLE, won silver. Regional organisations have not been the only ones to recognise the publications’ excellence. Eniath said the New York Times was searching for a Caribbean magazine to carry Martha Stewart content. Stewart is well known for her exquisite décor ideas, crafts, and gardening expertise, as well as her gourmet menus. “Based on our publications’ quality and vision, the New York Times approached us as it believed Belle was the best vehicle in the region to carry Martha Stewart content. It just fit perfectly with the brand. I had always read and enjoyed her columns, and was happy and pleased for the opportunity,” said Eniath. “With such an international figure associated with the magazine, it would be even more attractive to both readers and advertisers. The Martha Stewart acquisition reflects the overall expansion and success of the Caribbean BELLE brand. 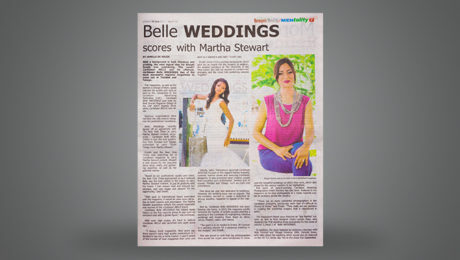 Caribbean Belle WEDDINGS has indeed made history as the first regional glossy to sign such an exclusive deal with a global figure,” she continued. With such high praise, it’s hard to believe Caribbean BELLE was launched only eight years ago. “I always loved magazines. Nine years ago there weren’t many many high quality publications so I decided to tap into a niche market. I wasn’t aware of the number of local magazines that came and went so I started it with faith,” Eniath said. Initially, Safari Publications launched Caribbean BELLE that focused on the region’s fashion industry, covering fashion shows and featuring Caribbean designers. It also promoted other creative people from countries such as Barbados, Jamaica and, of course, Trinidad and Tobago, such as chefs and entertainers. One issue per year was dedicated to weddings. However, the wedding issue was so popular, that the company decided to create a dedicated biannual wedding magazine to appeal to the market. And so, Caribbean Belle WEDDINGS was born. Coming into being in 2012, the magazine quickly cornered the market. It targets couples planning a wedding in the Caribbean by highlighting fabulous weddings and breaking them down by décor, venue, flowers, cakes and menus. “The point is to be helpful to brides. It’s basically a wedding planner for a gorgeous wedding on any budget,” said Eniath. She was proud to note that top photographers from across the region were handpicked to showcase the beautiful weddings on which they work, which also allows for the various vendors to be highlighted. The work of award-winning Canadian Wedding Photographer Dmitri Markine has also been featured in the magazine as he shot photographs of a newly married couple at locations across the country. The magazine’s latest issue features as “Ask Martha” column, as well as local designer Charu Lochan Dass, who designed her first wedding dress exclusively for the cover of Volum 3, Issue 1 of Belle WEDDINGS. In addition, the issue features as exclusive interview with Miss Trinidad and Tobago Universe 2004, Danielle Jones, who talks about her wedding which would also be featured on the hit TLC series “Say Yes to the Dress” this September.